Facebook used to build the future, but since the mobile era began it’s been chasing what’s next — buying Instagram, reskinning Beluga as Messenger, copying Snapchat as Poke, and now getting beat to animated photos by Twitter’s Vine and Cinemagram. If Facebook doesn’t bust out its crystal ball, it could get picked apart by visionary competitors, or lose its reputation for innovation. Mark Zuckerberg may not have invented the concept of social networking, but he sure executed on it. Facebook went on to pioneer some powerful products, including photo tagging, the relevancy-sorted news feed, the off-site Like button, and the unified cross-platform messaging system. The entire concept of a social network that used your real name and offline social graph to create an authenticated online version of your identity seemed forward thinking in the age of Myspace. These features helped Facebook blow past competitors to become the dominant social network for the whole world. Up until the last few years, Facebook seemed to pay little attention to competitors, and its acquisitions were focused on talent, back-end technology, and patents. But since 2011 as mobile has increasingly become the access point to the web, Facebook seems to have slowed down. Many of its latest products and app launches were done first by its competitors. Beluga and GroupMe proved English-speaking markets wanted dedicated mobile messaging apps that could replace expensive SMS and let you communicate with multiple people at once. At the time Facebook offered mobile messaging, but it was buried in its bloated primary apps. 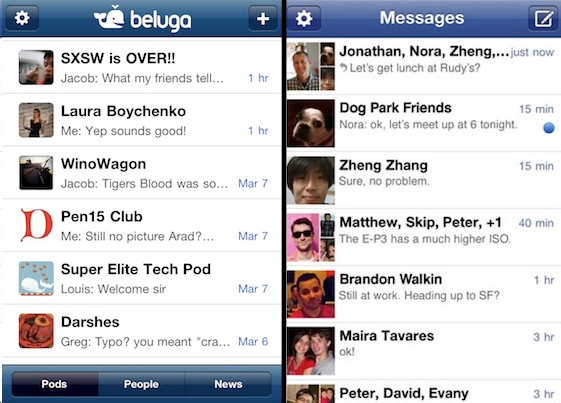 It ended up buying Beluga in March 2011 and turning it into Messenger, which has been a solid success with 56 million monthly users by the end of 2012. From there, the chase was on. Facebook launched its Subscribe feature which is basically identical to Twitter’s asymmetrical following system. It bought location discovery service Gowalla and turned it into its own Foursquare competitor called Facebook Nearby. Then it acquired social gift-buying startup Karma and morphed it into its real-world e-commerce debut Facebook Gifts. The trend was really crystalized, though, by Facebook’s willingness to pay $1 billion (eventually $715 million) to buy dedicated photo filtering and sharing community Instagram. Considering tagged photo sharing on the web was what originally made Facebook go viral, why hadn’t it foreseen the need for a bigger mobile-photos play? It lucked out on the Instagram acquisition, too. Other companies, including rival Twitter, were trying to buy the startup, as well. And while it didn’t get as much support due to the acquisition of already thriving Instagram, Facebook Camera finished 2012 with just 1.5 million users. If that had been Facebook’s only mobile photo app, and a competitor owned Instagram, Facebook’s future would be much bleaker. Facebook’s tardiness didn’t stop there. Most recently it saw Snapchat growing fast as people discovered the joy of self-destructing photo sharing — a vacation from the permanence of everything shared on Facebook. So it launched Poke, a near carbon copy of Snapchat, and bragged that a small team had built the app in just 12 days. Sure some top talent might see that news and think, “wow, Facebook’s not like red tape-saddled giants like Google. It really moves fast if it can build a full-fledged app that quickly.” But many other great engineers, product managers, and designers might much prefer to be at a startup inventing new ways of communicating, not fast-following them. The talent crunch in technology is no joke. There are rock stars out there that can make or break a company. With the explosion in seed funding, it’s easier than ever for them to start their own company and join a nimble new one. And with cash-rich companies like Apple and Google around, Facebook may not be able to pay the most to attract these 10x or 100x team members. If it’s going to win the best workers, Facebook has to rely on its image as a world-changing innovator that brings people closer together. It can’t do that by simply buying or cloning the next big thing. It has to amp up the futurism, and think outside the blue box it seems trapped in. We’ll see how this plays out with Vine, the 6-second looping video standalone app Twitter launched yesterday. Facebook considered it a big enough threat to block Vine’s access to its Find Friends API because it replicates Facebook functionality. 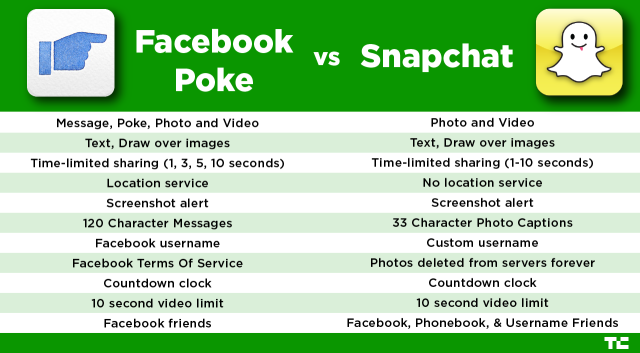 By Poke’s schedule, you could expect Facebook’s version of Vine by February 5th. I’m imagining a Facebook standalone app called Movement or Moment that lets you shoot and tag friends in short animated videos. Honestly, I’d probably use it. But Facebook can’t think like that – or it can and has to think farther into the future, too. It needs to build what’s at the end of the Vine, what’s faster than a Snap, and what carries more weight than any Gram.